Wine is such a lovely color which suits Indian skin tone really well. 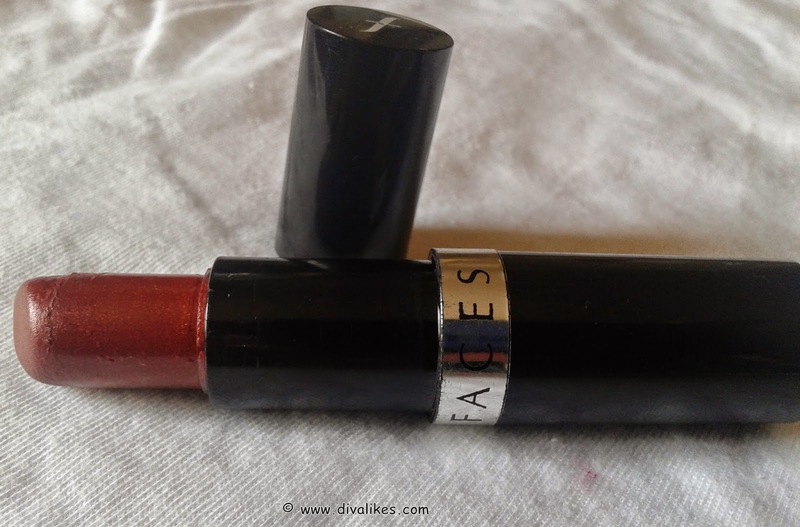 I usually don't wear such dark shades but you need at least one such shade in your vanity kit. 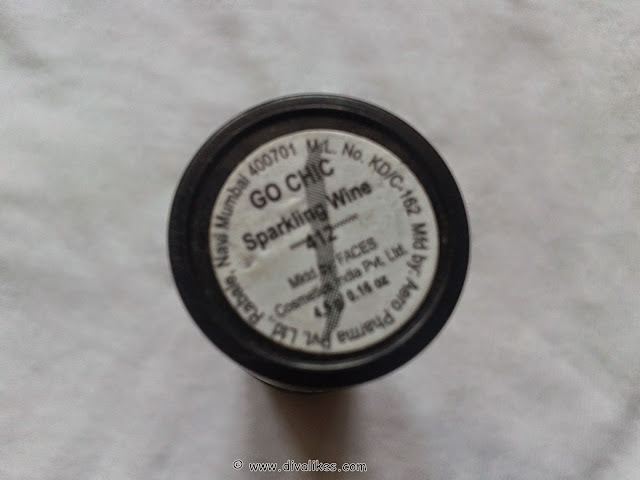 The shade I am reviewing today is called Sparkling wine and it is from Faces Go Chic Range. This range is pretty inexpensive and has very good quality. 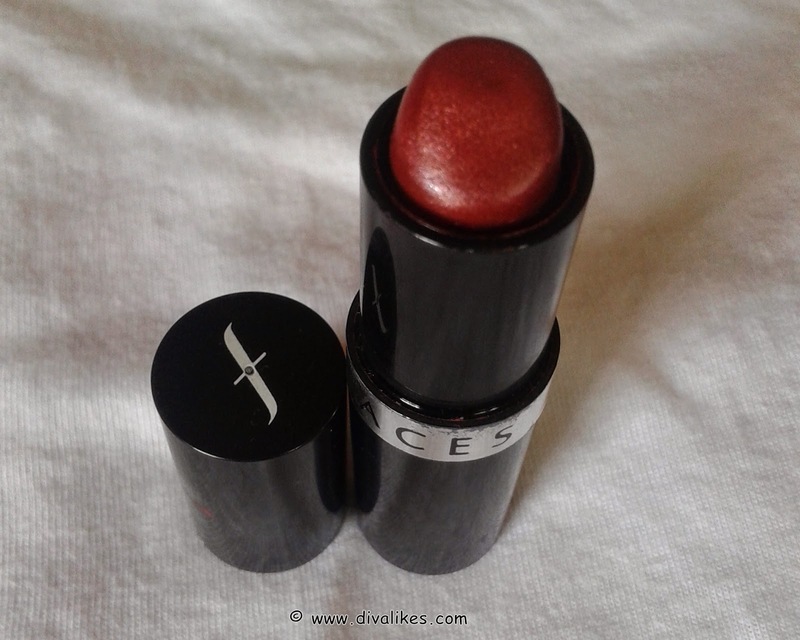 Read on to know my experience with this lovely lipstick by Faces. "Where were you all this while?!" – was our customers reaction to this winner. Awesome shades, perfect application, light, easy and pocket-friendly – there's something for everyone here. 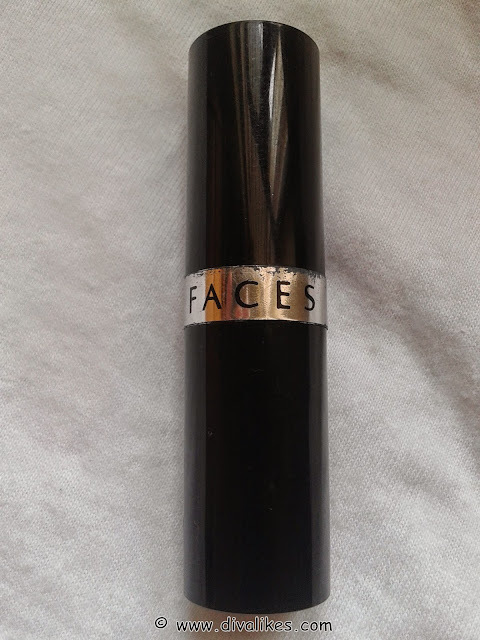 Faces Go Chic Sparkling Wine Lipstick comes in a simple but sturdy black packaging. The lid shuts tightly and the product name is mentioned on a sticker at the bottom. The shade Sparkling Wine is a very unique wine color and those who love wearing such dark colors will fall in love with this shade. 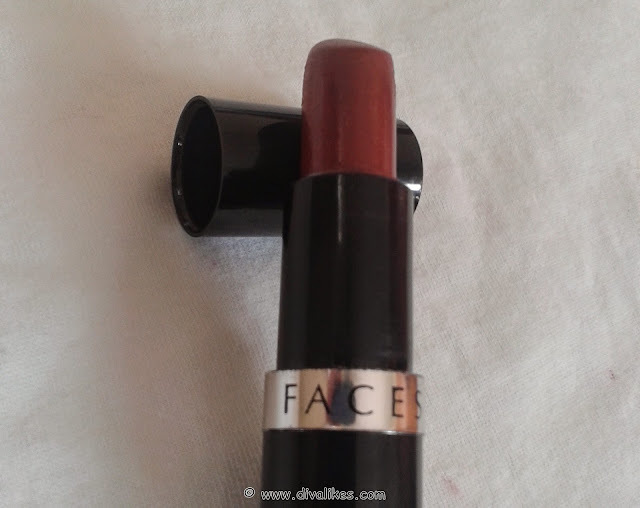 It's a perfect shade for the nights especially during winters. It will instantly brighten up your face. I love this shade as it suits Indian skin tones really well. Since it is a dark shade, it can't be used that often unless you are wearing it in the night. The texture is very smooth and easy to apply. 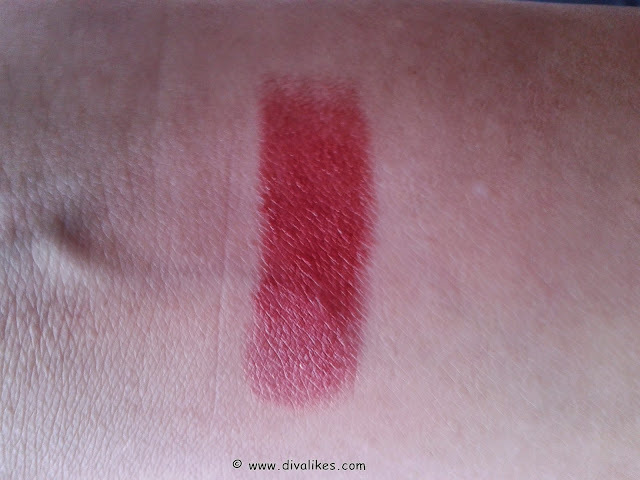 It has a slightly buttery texture since it contains shea butter and easily glides on to the lips. It gives a lovely sheen to your lips but does not contain any shimmer. It is slightly moisturizing but if you have dry lips I would suggest you wear a lip balm underneath this. The pigmentation is really superb, I must say. One swipe covers my pigmented lips! The staying power is decent. It has a staying power of about 4 hours. I don't mind reapplying lipsticks so it is perfectly alright for me. It fades out evenly and does not settle into fine lines. It has a really weird smell, which eventually fades after a couple of minutes. I don't mind it as it doesn't trouble my sensitive nose too much. 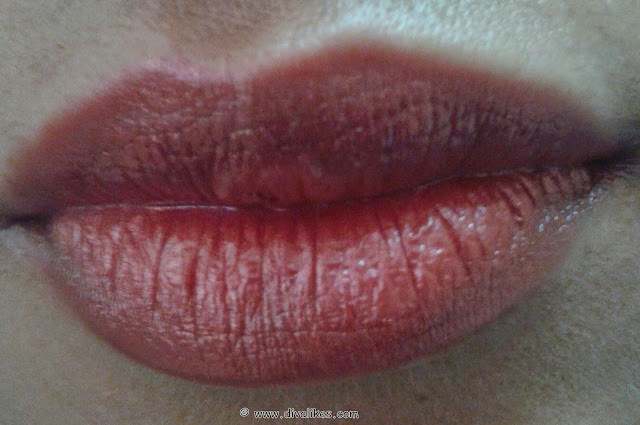 All in all I like this lipstick and Sparkling Wine shade is perfect for night wear. Faces Go Chic Lipstick are available in 17 amazing shades and are inexpensive. I already own 5 shades from this range because the shades are so unique. If you don't mind reapplying your lipstick, go ahead and get Sparkling Wine shade. Thanks supraja... It's indeed a very pretty shade!